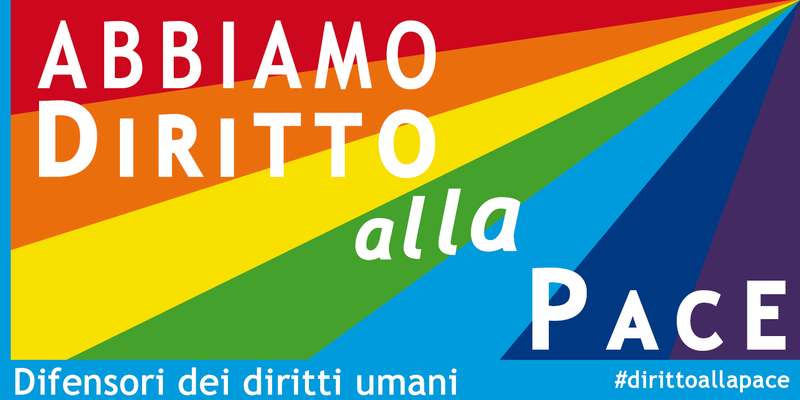 On Sunday 19th October 2014, the Perugia-Assisi Peace March will be held. Thousands of people, families, schools, associations and local authorities will participate in the peace mission against the war and all forms of conflict, promoting the right to peace and brotherhood among nations and individuals. The 24 kilometers March from the Perugia to Assisi is the occasion for sharing ideas, proposals and thoughts inspired by the seven constitutional principles of nonviolence, justice, freedom, peace, human rights, accountability and hope which are the conceptual basis of the event. Fifty students from the University of Padua, carrying with them posters claiming 'We have the right to peace' in twenty-eight languages, will be among those who are going to lead the Peace March from Perugia to Assisi. According to the programme, after the arrival to the square in front of the Basilica of San Francesco, two students will read a message for the international recognition of peace as a fundamental right of individuals and peoples, prepared by the University Human Rights Centre and the UNESCO Chair"Human Rights, Democracy and Peace" of the University of Padua. Along with the students, there will be also the representatives of approximately 300 Italian municipalities, provinces and regions, whose Councils have until now approved the petitionary motion, prepared by the aforementioned Centre and UNESCO Chair and spread by the National Coordinating-Body of Local Authorities for Peace and Human Rights. While the syndrome of the "easy war" is spreading, it is essential to increase the rejection of war, as enshrined in Article 11 of the Italian Constitution, and desire to work on the institutional path to peace, where we can spend our expertise, passion, perseverance and our resources of soft power constituted by the defense of a Rule of Law based on human rights and by non-violent practices, dialogue, transnational solidarity and peaceful settlement of disputes.